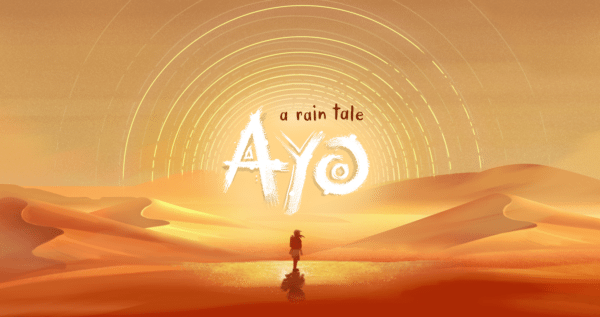 In Ayo: A Rain Tale players take the role of young Ayo as she sets out on her very first journey to get water for her family. On her journey Ayo will encounter the Asili Twins who join her on her trek and help out along the way. As her quest continues the world around Ayo begins to look more magical. Players will find Ayo’s world a dangerous place with crashing boulders, sandstorms and moving platforms. Ayo will need to crawl, climb and jump her way through puzzles and across these hazardous environments to her destination, water. That’s not where Ayo’s troubles end though as she will need to face a large bull called Ja Thunderstorm who wants to keep all the water for himself. Explore Sub-Saharan lands by crawling, climbing, and double-jumping. Experience day and night cycles on your journey. Face challenging enemies and confront Ja Thunderstorm. This challenging search for water will be available on the 9th November on PC and Mac.